This is an A5 size card. I'm sorry but I can't remember where I got this stitch pattern from (you may see some more cards with this pattern as I do like it). 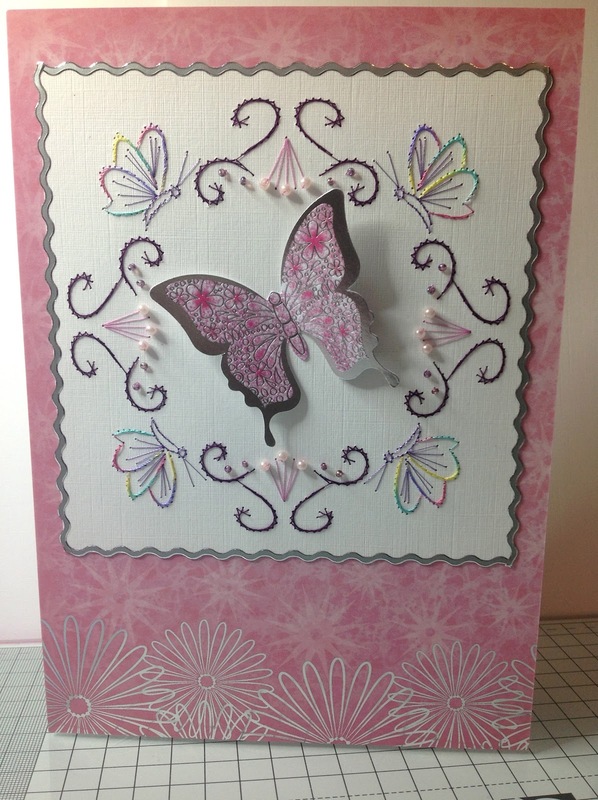 I stitched the pattern in purple cotton and used multi colour cotton for the four butterflies, I then added little beads for more texture. 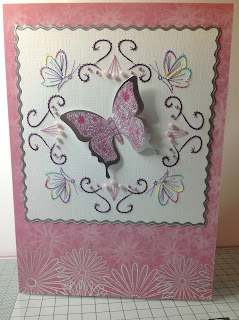 The large topper butterfly is from KanBan Crafts and the pink backing card is either Hunky-dory crafts or Kan Ban, I then used some wavy peel offs to edge the card.